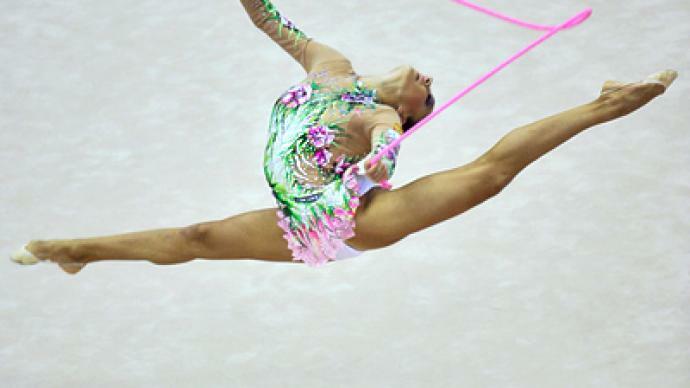 The Moscow leg of the Rhythmic Gymnastics Grand Prix Series is due to take place at Luzhniki at the weekend. Russia's all-star team, as well as rivals from over 30 countries, will show their skills at one of the season-opening events. Moscow staged the 2010 Rhythmic Gymnastics world championships back in September, and now the sport’s top names return to the Luzhniki arena for one of the first big events of 2011. 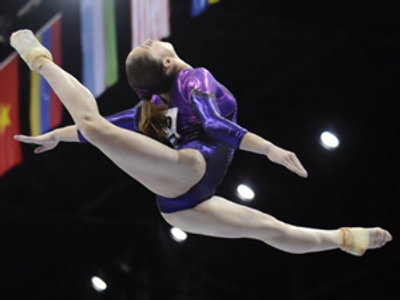 The Moscow Grand Prix is set be the start of an important season for gymnasts. And now that the format of the competition has changed, it gives more opportunities for younger athletes. “The regulations have changed. Four gymnasts who won medals at the World Championships will represent each country – with just two of them then progressing to the second day’s finals. Apart from that, lesser-known girls will compete in the same events on Saturday with a chance to make it trough to the finals, depending on their results,” explains Russia’s gymnastics coach Amina Zaripova. Russia will boast its best roster at the weekend with the main quartet of gymnasts featuring all stars, led by Olympic gold medalist and World Champion Evgeniya Kanaeva. “I’m very excited to present my new program in front of the home crowd. It’s a new start so, of course, I want to give a good performance,” says Kanaeva. “There’s no Olympics this year, so Evgeniya is training for the Grand Prix series, primarily, as well as the World championships. She doesn’t need to score points to enter those events, since she is a World and an Olympic Champion. She would have to get through qualifying to make the finals, though,” says Irina Viner Russian team’s head coach. Since the new rules now allow the involvement of youngsters along with the stars, Russia will present its second group of four gymnasts, aiming to compete for a place in Sunday’s individual finals. “We have junior Olympic Champion Aleksandra Merkulova, Margarita Mamun – who clinched the bronze at a World Cup stage in Montreal a month ago – Ekaterina Donich, a talented young gymnast who is currently training with us. We also have a completely new all around group program, prepared under new coach, Tatyana Sergayeva,” says Viner. The Junior and Senior competitions as well as the exhibition tournament are also up for grabs at Luzhniki this weekend with the Moscow Grand Prix being just one step towards September’s World Championships in France.